Amassing rare and forgotten music is a peculiar sort of hobby — one that slowly transforms into an addiction. It’s not that I don’t love mainstream music. It’s just that the thrill of listening to some forgotten gem that everybody else has overlooked is powerful. It also feeds into the collector’s impulse I have to overturn every stone to find that song, and my love of complete collections. Not surprisingly, I also like to collect comic books. I guess I’m the type. In any event, here are five lesser-known musicians that I believe everybody should give a listen to, dating as far back as the 1910s and focusing on jazz, folk, and blues. I discovered Don Byas entirely by accident. I was listening to a Charlie Christian fan recording made in 1941, which was a musician’s after-hours gig. There was a tenor saxophone present for some of the songs that sounded so much like Coleman Hawkins that I read the liner notes to see if it was him – only to discover that it wasn’t the Hawk, but a guy named Don Byas. I quickly borrowed all the Don Byas CDs I could request and immediately got into him. His playing consistently impressed me, just as it did on that initial Charlie Christian album. Early bebop musicians like Byas were rooted in Swing traditions but wanted to play around with harmonic structure in their songs and experiment, which for me is a “best of both worlds” situation. 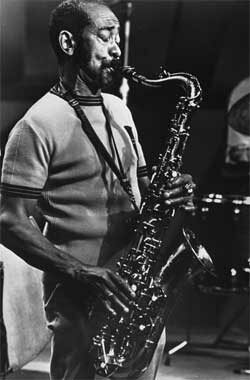 Don Byas should be on the list of brilliant tenor saxophone players, among Coleman Hawkins, Lester Young and Sonny Rollins. In collaboration with Hawkins, he made what are considered to be the first Bebop recordings in 1944. Yet he is frequently omitted in jazz history courses, in books and in documentaries, meaning that newer fans of jazz might miss him entirely. Part of this is because Byas lived in Europe from 1945 onward and rarely visited the United States, giving him a large European audience but a smaller American fanbase. You might start by checking out the song that got me hooked: “Stardust” with Charlie Christian. Rex Griffin was pitched to me as the link in country music between Jimmie Rodgers and Hank Williams. My first exposure to Rex was through a Jimmie Rodgers song, “Sweet Mama Hurry Home (Or I’ll Be Gone)”, which I heard through Bob Dylan’s radio show. Rex’s songs are representative of the time period, with a lot of them focused on worry, heartache, suicide and alcoholism as well as a slavish devotion to one’s mother. To say his songwriting is melancholic is an understatement. Griffin’s life undoubtedly informed his songwriting. He was born in Gadsen, Alabama to a family of seven on a farm and left a rural life behind for music. Like almost all white country musicians of that era, he was influenced by Jimmie Rodgers and incorporated Rodgers’ ideas into his own music. He was a competent guitarist and an excellent yodeler, for those of you who are into that particular musical expression (I freely admit I try to yodel along to his songs). Over time, his music became more like what we would recognize as honky-tonk, and I prefer his earlier material. The combination of the war and his own health difficulties ended his music career in the late ‘40s, and he spent the next ten years exclusively writing. His music was not re-released until decades after his death. Much more notable than his musical abilities is the fact that he was one of country music’s best early songwriters. Prior to the 1960s, most musicians did not write their own songs, instead relying on professional songwriters or covering the standards of the era. “Everyone’s Trying to be My Baby” became a hit for Carl Perkins and then for the Beatles. “The Last Letter” stands out among depressing songs as being very depressing, so approach it lightly. You can attribute a lot of my interest in blues music to Furry Lewis. In high school, I’d had a brief spell of interest in his music, but most of my attention was focused on jazz. All that changed one afternoon, when I found “Fourth and Beale” on Lewis & Clark’s radio station. Few records blow me away on a first listen, but I ended up spending three hours listening to the CD on repeat. 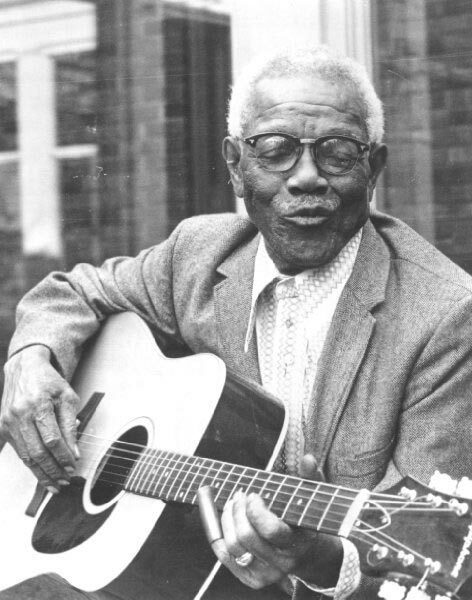 Furry Lewis hits so many of the familiar bases of a bluesman that if he were a fictional character, you might call him a cliché. He was born Walter E. Lewis in Memphis, Tennessee, and nobody now knows where the nickname “Furry” came from; when asked about it, he claimed that he had long-since forgotten who gave it to him and why. He hoboed around in his younger years before losing a leg in a train accident. He recorded for Vocalion and Victor in the late ‘20s, but the Great Depression ended his career as a musician for thirty years. He worked as a street cleaner (how he did that with one leg, I still don’t know) before being rediscovered in the early 1960s. He led a lively revival career, recording many new albums, appearing in a Burt Reynolds movie and opening twice for the Rolling Stones. He died in 1981 at the age of 88. Furry played like a Memphis Blues musician, which meant that he incorporated a lot of ragtime techniques into his playing. 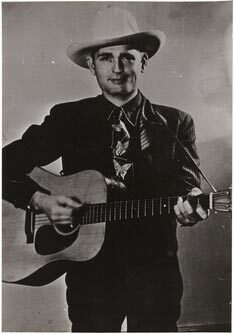 He alternated between slide guitar and a fingerpicking style, and was proficient in both styles. Something about his songwriting always jumped out at me too. “Casey Jones” is my favorite example. In parts, the song can be achingly melancholic as it recounts the death of the engineer: “Mama, mama, I can’t keep from cryin’/ Papa got killed on the Southern Line.” A few verses before that, he features lyrics which seem almost silly and made me laugh the first time I heard it: “I’m gonna ride with Mister Casey ‘fore I die/ I ain’t good-looking but I takes my time.” Humor and sadness can exist side-by-side in his songs, which is why he’s remained one of my favorite blues musicians. 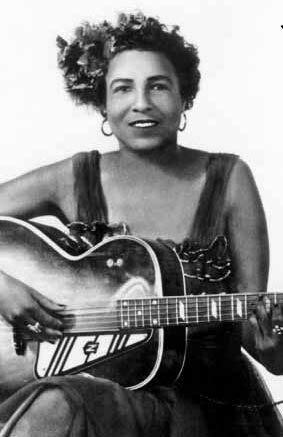 Continuing with another great Memphis blues musician, the next on my list is Memphis Minnie. Beale Street in Memphis is hallowed ground for blues musicians – a place where Frank Stokes, Furry Lewis, B.B. King and Elvis Presley took turns hanging out and playing music. The popular image of blues musicians today is the Mississippi Delta image: very rural and largely forgotten, playing a lot of slide guitar, and somewhat down-tempo. It’s an overblown stereotype and Minnie flies in the face of it. She played a country style of blues but for an urban audience and was extremely famous during her lifetime, such that she was eventually able to make a living through recording (a rare feat for a blues musician). Her life was a rough one, as she ran away from home at 13-years-old to live on Beale Street and play music. She moonlighted frequently as a prostitute, which was common among female blues musicians in those days, but was also known to pull knives on men who got too physical. She played in that lively Memphis style that incorporated some ragtime and a healthy exchange between slide guitar and fingerpicking. Unfortunately, she did not participate in the blues revival in the ‘60s, as she was in poor health and unable to perform. “I’m a Bad Luck Woman” has always been one of my favorite Memphis Minnie songs, so I generally suggest it to people. Her version of “When the Levee Breaks” was adapted by Led Zeppelin and is also worth a listen. 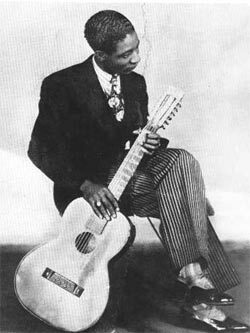 Why don’t more people know about Lonnie Johnson? Lonnie Johnson should be one of the most famous artists of the 20th century. He practically created single-string guitar technique, toured with Duke Ellington, and participated in one of the first interracial jazz recordings with Eddie Lang. Born in New Orleans shortly before the turn of the century, Johnson started his career after winning a blues recording contest in St. Louis. According to him, he regretted the victory, as it trapped him as a blues musician. He was one of the better-known blues musicians of the ‘30s, and I should stress how important Johnson’s contribution to jazz was. The guitar was basically regarded as an instrument used only for rhythm sections prior to Johnson, and even in that capacity, it shared the stage with the banjo. Johnson took the instrument, and rather than playing chords, played noted by note and used it as a solo instrument. It should go without saying that this was an enormous innovation in jazz and the history of the guitar. Part of the reason for his obscurity today, paradoxically, was the fact that he was able to cross-over between both genres with relative ease. Late in life, he was asked to describe his style, and after a few moment’s hesitation, he referred to his genre as “Urban blues.” Yet he wasn’t “urban” in the sense of a Chicago bluesman, and his playing strayed out of blues chords frequently. He didn’t exactly mesh with popular tastes as they changed. His career was one of wild ups and downs, which included recording with James P. Johnson and then spending much of the ‘30s working in a steel mill; through the 1950s, he was working as a janitor, and he eventually moved to Toronto because of the city’s more tolerant social mores. For solid Lonnie Johnson offerings, check out a few different recording dates. “Have to Change Keys to Play These blues” was a duet he did with the white guitarist Eddie Lang in 1929. “She’s Making Whoopee in Hell Tonight” is one of those blues songs that’s so dark it’s almost funny. For his jazzier side, one of his rediscovery recordings, “How Deep is the Ocean”, showcases his talent both as a singer and as a guitarist.